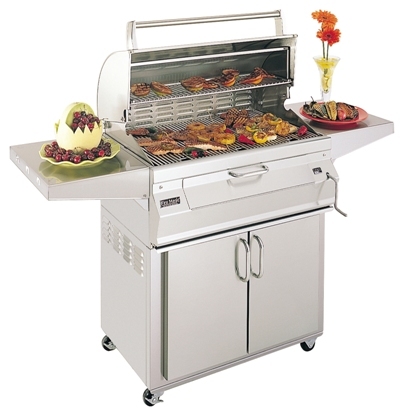 This grill offers a true 30" across the cooking surface, not the FRAME of the grill like others measure. The total cooking area is approximately 540 sq. inches. Includes a stainless steel cart with heavy duty casters, two doors, side shelves, and lots of storage space. Every Firemagic Legacy Charcoal Barbecue includes easy temperature control by turning the front-mounted crank to literally raise and lower the fire.